Highbush Cranberry produces attractive white flowers in late June and bears edible fruit that matures to a bright red colour in the late summer. 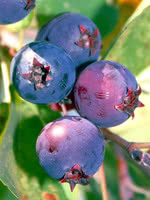 This shrub, native to much of Canada, is fast growing, and its fruit can be eaten raw or cooked into a sauce to serve with various proteins. Consider buying one for your next home landscaping project.